More than just a resort-destination! The Maldives is, typically, known as a honeymoon destination. With stunning views, luxurious resorts set on pristine private islands, and overwater bungalows and villas perfectly equipped for two, this reputation does not come as a surprise. But you may be surprised to learn that the Maldives is a great place to take the whole family—a holiday destination with the lot! There are so many things to do in the Maldives that it would be unfair to limit it to just couples. Explore coral wonderlands, indulge and relax at resorts, or party the night away before island hoping the next day for some truly unique cultural experiences. Whatever you want to do, you can do it in the Maldives. Read on below to find out more! The water is a big drawcard in the Maldives—from the moment you approach this unique country, you’ll notice that! Most of the Maldives exists under the ocean’s surface and there are countless coral reefs to explore. Fly over them, float on top of them, or dive right in and get amongst the diverse marine life that lives within—it’s all possible in the Maldives! Sea planes are a popular mode of transport in the Maldives and are a good way to start appreciating the water-based country for what it is. Gaze over the atolls as you fly to your accommodation and note all the peaks and troughs as you go. The water appears as a rainbow of different blues from the sky and is a definite must-do for your next visit! The Maldives is composed of 26 separate atolls. These circular coral reefs are home to thousands of unique marine life species and can be accessed directly from your resort. Dive straight in to enjoy prime snorkelling spots—you can hire equipment and get lessons experts, or take your own and float the day away! If you’re after a more up-close-and-personal experience, diving is also an option. Dive instructors are based at most resorts and tours run all over the country—where you go depends on what you want to see! Witness manta rays feeding at Hanifaru Bay, swim with whale sharks in the north, or try to spot dolphins, tuna, spotted eagle rays, hammerhead sharks, tiger sharks, oceanic whitetip sharks, turtles, crabs, and much more on inner and outer reefs! The marine diversity is unbelievable in the Maldives. Its continued existence and beauty is largely thanks to the conservation efforts that are underway in much of the country. From whale shark projects, to turtle rehabilitation, coral adoption programmes, and more! 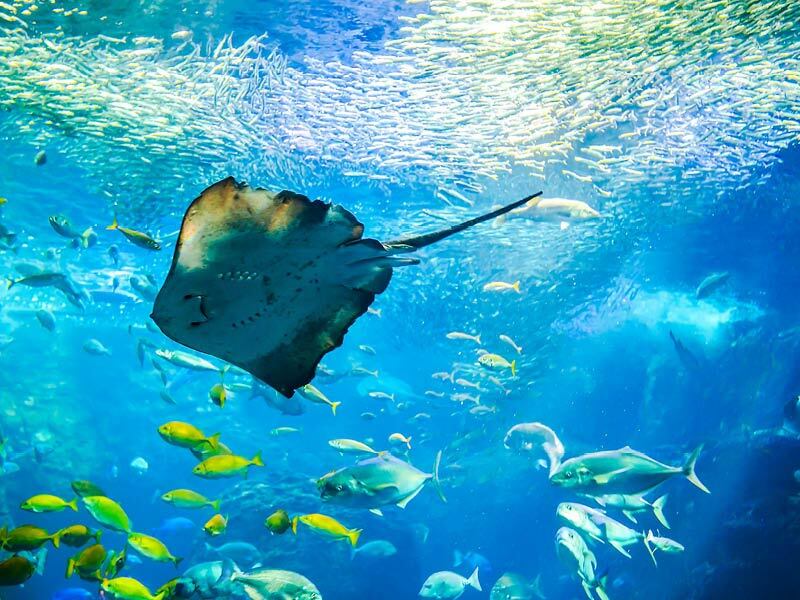 Visitors can get involved with these projects if they wish—many resorts are actively involved in preserving their surrounding marine landscapes and love to educate their guests! As inviting as the underwater world might be in the Maldives, there’s also plenty to do above its surface! Water sports are so popular in the Maldives that most resorts have equipment and instructors on site ready to give guests a helping hand. 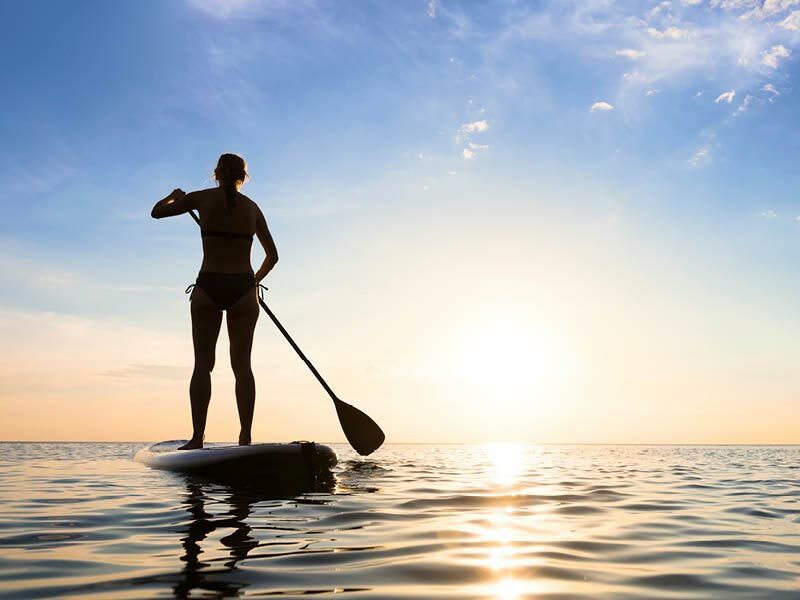 Take advantage of the flat lagoons around your resort and master Stand-up paddle boarding, kayaking, canoeing, sailing, and every type of floating in between. If you’re an adrenaline junkie, jet ski tours operate from resorts and offer a unique way to access and explore neighbouring islands and reefs. Other thrilling experiences include water skiing, banana boat towing, parasailing, and windsurfing, plus those seeking a truly one-of-a-kind experience can strap an X-jetpack to their back to soar over the sea, or power along the ocean floor on an underwater scooter! The Maldives’ surf season runs all year, with different regions taking over for certain seasons. The North Malé Atolls have a mix of clean left and right breaks between March and October; the Central Atolls are relatively crowd-free and best between May and August; and the Southern/Outer Atolls have a split season, from February to April, and late August to October. Fishing is one of the main primary industries in the Maldives. There are strict rules and regulations relating to where and when you can fish—hefty fines apply to those who fish on designated reserves! Luckily for tourist though, fishing tours are very easy to come by. Join one at your resort and try your luck with big game, night fishing, and more! The Maldives is not famously known for its food. With the cuisine traditionally based on fish, coconut, and starch, it does present the makings of a slightly bland menu, however Arabic, Indian, Sri Lankan, and Oriental influences make the food in the Maldives something to write home about. Plus, the resorts take dining to the next level, with international menus and unique dining experiences. The prevalence of fish in Maldives menus should not come as a surprise. Most of the country is under water and fishing is one of the nation’s primary industries! Tuna is the popular choice for food. From curries and soups, to grilled dishes, sundried snacks, and everything in between, you’ll learn how to eat tuna here in ways that you could never imagine! Coconuts are the perfect complement to fish curries, plus they make for delicious drinks and cocktails! Relax by the water’s edge with a coconut in hand, or enjoy the refreshing flavour as it mixes with the creations of expert bartenders at your resort! Coconuts are grated, squeezed, and deep-fried in the Maldives, so you’ll be able to enjoy the flavour in one way or another! A range of different starchy staples work to pad out meals in the Maldives and they also tell tales of the country’s many cultural influences. Feast on rice, taro, sweet potato, cassava breadfruit, and screwpine (pandanus). These are eaten boiled, in flour form, or raw. 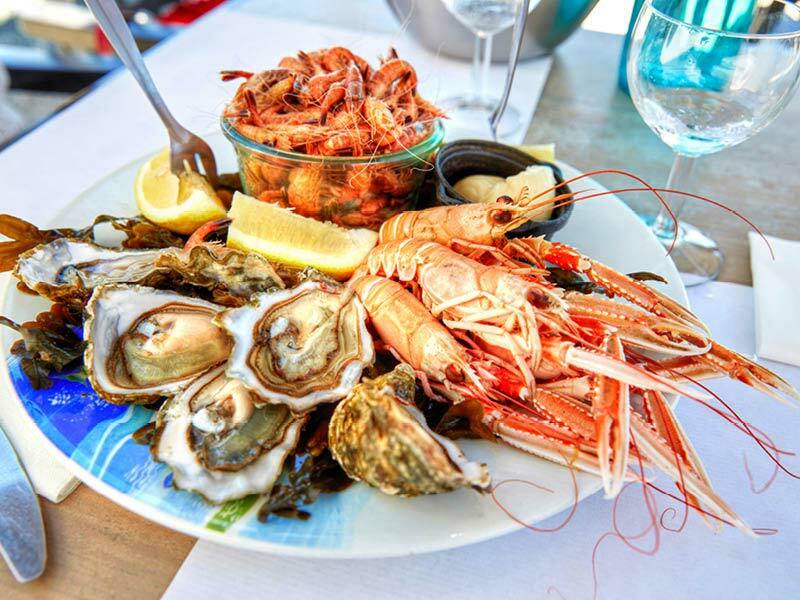 Most resorts embrace these traditional flavours while also working to reinterpret them to appeal to a wider group of diners. There are options for fine diners, fussy eaters, and those planning on a liquid-dominant diet to really get into the holiday spirit! Feast on gourmet creations, traditional favourites, and all the snacks and sweets in between. Unique underwater dining experiences await at Anantara Kihavah Maldives Villas too—talk to our Maldives Holiday Experts to find out more! Tranquil, private islands might not immediately appeal to all families with children, but the Maldives is a family-friendly place! If your family love the water and the outdoors, this is a place to take them, but don’t despair if your family is not so “get up and go”. 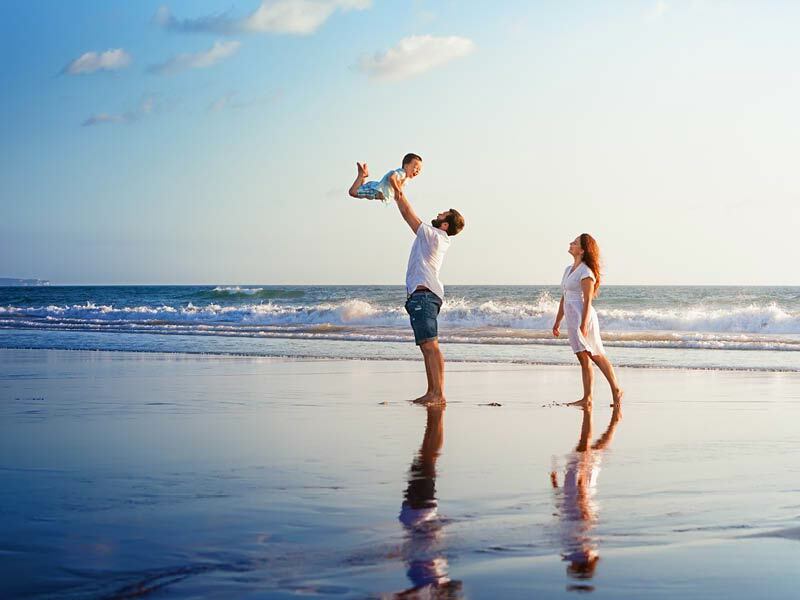 Places like the Anantara Kihavah Maldives Villas and Furaveri Island Resort & Spa have modelled their offerings around the needs of all kinds of families! Cycle Anantara’s pathways together, play billiards, badminton, volleyball, tennis, life-sized chess, or jenga, or enjoy family cinema nights under the stars! There are cooking classes, a kid’s club, and babysitting services available, plus most resorts have child-friendly menus to avoid infamous meal-time dramas! The Maldives is a great place to introduce your family to new cultures and customs, with reduced chances of major culture shock. Go on day trips to other islands—visit heritage sites and the National Museum of the Maldives in Malé, taste local cuisines and shop for handicrafts, and then return to your luxury accommodation in the evening. If day trips aren’t for you, cultural shows and entertainment are often showcased at the resorts. Plus, the friendly staff will give your family some insight into what the surrounding culture of the country is like! No matter if you’re a family that has fun together, or you prefer a touch of distance, there’s a fun family adventure waiting in the Maldives for you! Nightlife exists in the Maldives! Yes, you read that right. While the island chain is known for its more conservative culture, the nights do come alive on many of the private islands. From jazz nights, to live bands, karaoke, and more, the Maldives has it all if you take the time to look! Dine, dance, and sip in the company of tropical fish at underwater clubs, or enjoy the themed party nights put on by lots of the resorts. The W Maldives is well known for these. Party hard by the pool, dance the night away with resident DJs, and check out Sushi Beat and the glow-in-the-dark vodka bar at the Fifteen Below night club. 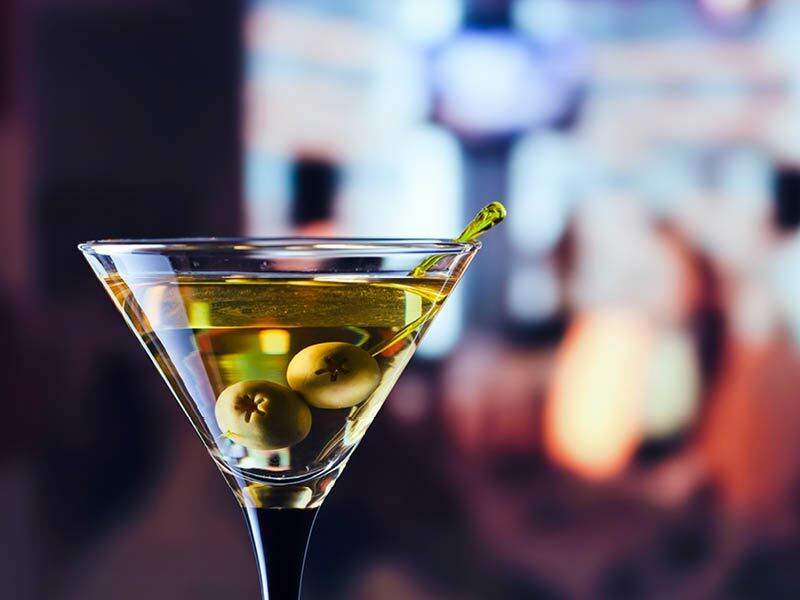 There are local bars to try out too—just make sure you have a way to get back to your resort lined up! Once you’ve recovered from the night, hop between islands to enjoy the best of the country’s shopping. Find a range of unique handicrafts made from coconuts, reeds, and woods; clothes and fabrics dyed with local plants; and stunning gold and silver jewellery made from imported material by talented smiths. Stores and malls are spread throughout the capital, Malé. Shop in surfing outlets, luxury boutiques, traditional shopping centres and more. Marvel at the high-rise buildings and mosques while you’re there too—these beautifully crafted towers are something to behold! Gift shops feature on most of the private islands, so if you’re not up to island hopping, you can stock up on souvenirs there!